Cleverbot is the best thing for when you're lonely. 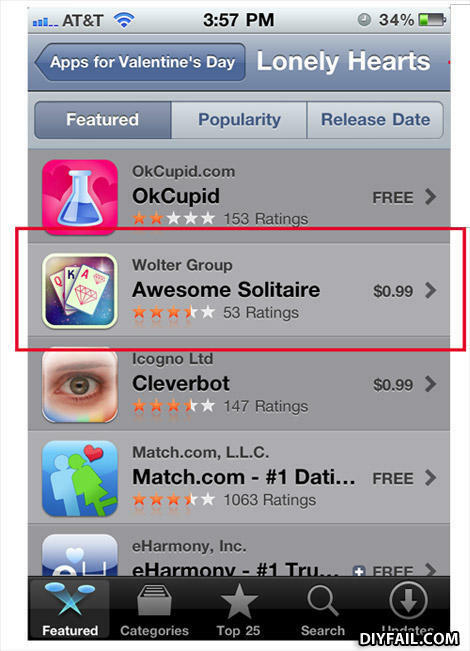 Awesome solitair + an awesome red paint line around it @ valentine's day apps! FREAKIN AWESOME!